Our company prides itself in satisfying our clients all gutter solutions. We are located at Midland, Michigan. 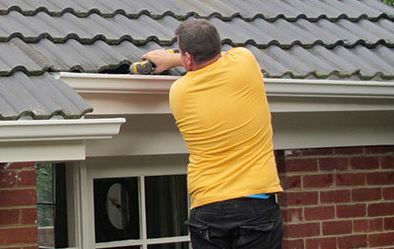 We offer a wide range of services to our clients from installation to repair of gutters. You certainly want to have that one perfect roof and we are the solution. Gutters are not very beautiful to your roof but can save you quite a lot of problems such as overflows on the roof are drained by the gutters and save your roof from breaking down in some years to come. During roof installation its wise for a client to come to us, talk to us about the gutter installation. you may be having a new put up roof or even you want to replace the previously installed. Here are some steps of how to install the gutter. 1. 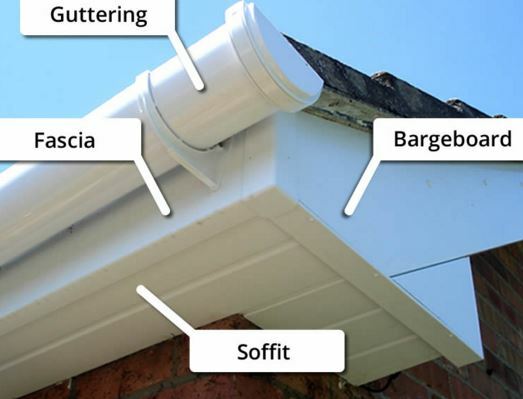 Identify the Gutter Type you want to be Installed. The seamless gutter may not be cheap but bring out an elegant touch to your roof that you can see from a distance and am sure you want the roof over your head looking pretty. Steel gutters are durable, strong and effective in draining water and will serve you some quality time before you replace them. The other good thing about them is that they are flexible and strong and you can bend them. The aluminium gutter resists rust and hence Is both efficient and effective to its purpose. You should correctly measure your roof so that you may know the size of gutter you will require. If you are not an expert in this kindly contact us we will gladly be of service to you. Most gutter sizes ranch from 5-6 inches for the residential ones. This information helps you out in forming a blueprint of cost and amount. Make a layout on the roof using something visible marking where to start and how the slope will flow on your roof. Some gutters come while shaped but, in the case, where they don’t just pick up a hacksaw and be the craftsman. Cut to measurements that fit the roof in terms of size and also bends. As you cut through make sure you also cut the holes so as to fit the down spout, you certainly don’t what to miss this because it might be a waste of time if not attended to. The holes previously cut should be connected with the down spout using a connector and sealed using silicon in order not to have any space left. After you are done now mount the gutter carefully and attach it to the roof using a steel lag. Check for any defects during installation and rectify. · The type of gutter you are buying and the shapes requested. · The size of the roof as this determines the range of gutter to use. · The design of the roof as may attract special cuts of the gutter due to bends. Wouldn’t this just save you a lot than having an over flow on your roof and have to replace it all? · Leaks on the connector or the gutter itself can be fixed only through sealing the connector with silicon and for the gutter either replace or fixing it. · Detached down spout from the connector as it may end up being loose. Detached downpour may lead to water spills all over and hence re connection is necessary. · Detach of the gutter from the roof as the lag may detach from the wall or roof. You need to carefully nail or attach it back to the wall. · Algae and plants growing on the gutter may lead to clogs and even spills. It’s necessary to cut them off and ensure they can grow again. 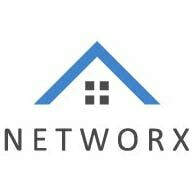 · Cracks and visible holes on the gutters maybe due to a couple of reasons. These cracks need to be repaired before replacement becomes the only rescue. This visible feature calls for you to just ring us and we will be there on your request ready to help you get comfortable without having to worry about future trouble. If you can and are able to do it by yourself and still would like advice from us on clarification just let us know also. Apart from the repair part we also offer advice on gutter cleaning services to our clients in order to have a durable roof. 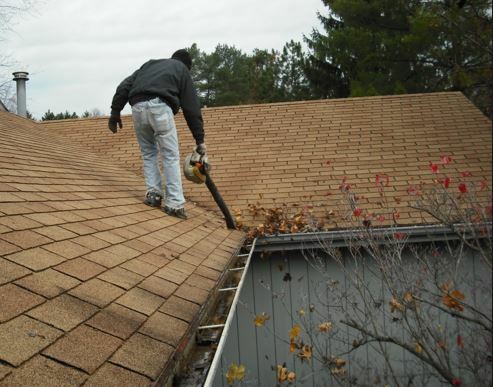 Gutters should be cleaned at least twice a year but that doesn’t mean its limited to two. Some issues make you reconsider the two and do it another time. Its wise to always consider inspecting your roofs often so as to be safe. We can recommend some gutter cleaning companies for you once you request. This will aid you have certified experts in the job and have not to worry about shoddy work. Visit us at Midland Gutter Pros for the best deals in gutters and be sure to get amazing offers that will certainly impress you. We offer after sale services to our clients as a happy client is a happier soul. Our full service gutter businesses offer gutter cleaning services. Good gutter cleaning companies can give annual contracts to take care of clogged gutters. Clogged gutter spill water on the house on backboards or bust seams on downspouts. 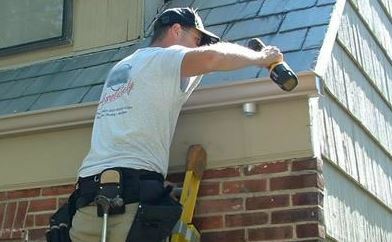 While inspecting for clogged gutters the company can look for loosened gutter screws and nails. It can check the straps on the downspouts. Other services available may list as mold, mildew or algae roof removal. Gutter repair becomes a preventative rather than an emergency situation. 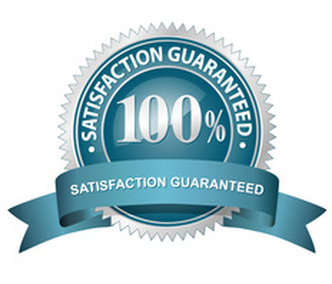 Different packages exist from gutter cleaning companies such as basic, premium and platinum. Pick that package that fits the need. Giving the Midland Gutter Pros a call can relieve all the worries of what goes on with the gutter when. Experts in the local area they know all the possible problems that occur and then some. 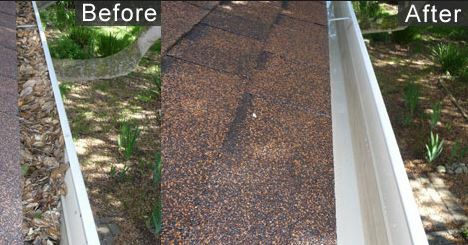 Give those professionals a call today and leave the gutter cleaning to them.